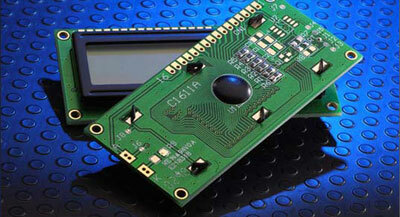 PCB (printed circuit board) assembly is one of ShapePoint’s main areas of expertise. Materials: FR4, high-temp FR4, polymide, etc. Plating finishes: HASL, ENIG, immersion silver, etc. Oversight by our highly-skilled team of engineers and project managers onsite in China. A large selection of partner factories to choose from with state of the art equipment at our fingertips. The ultimate in 'executoys,' the motion lamp is comprised of an illumination base and an interchangeable, transparent, optical display piece that rests on this base. The whitelight emitted from the base is transformed into mesmerizing waves of changing color when viewed through the display piece. 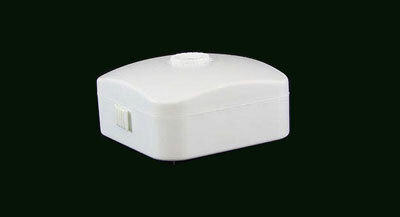 Manufactured with uncompromising fit and finish, ShapePoint created this unique piece with injection molding, poly-resin casting and PCB assembly. 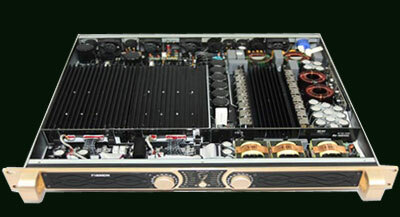 Shape Point has been working with audio customers and vendors for almost a decade and we have manufactured both analogue and digital amplifiers. Audio amplifiers require stringent PCBA quality control along with a 24 hour burn in (just means powered on with a load) of the electronics after final assembly to be sure the finished product can pass all the QC tests before shipping. Similar to a smoke alarm, this ingenious invention houses electronics capable of detecting damage causing moisture and sounding a 110+ db alarm. ShapePoint provided turnkey manufacturing including custom tooling, injection molding, PCB assembly, and complete retail packaging. 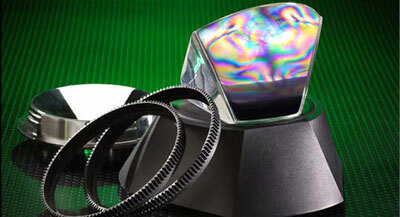 ShapePoint specializes in procuring electronics components for final assembly. We are often our clients' main resource for pieces like this LCD display. Our relationship with various quality Chinese PCB manufacturers and PCBA houses allow our clients all the management advantages of working with ShapePoint in addition to receiving the best quality and price value on a wide range of electronic components and assemblies. 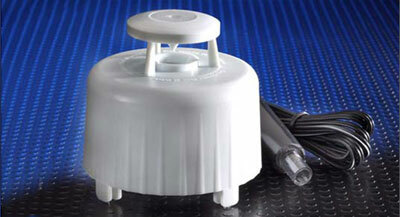 The Sensor Pad is an accessory to the Water Alarm which can detect moisture buildup and trigger the alarm. We designed the plastic injection molded stand with break-off points on each leg at quarter inch intervals so the end user can easily adjust the height of the stand to allow for different depths of moisture buildup before triggering the alarm. 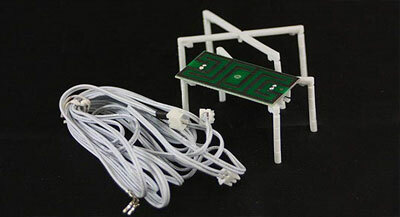 The actual Sensor Pad itself is a Printed Circuit Board with strategically placed traces that close a circuit when moisture builds up between the trace lines. 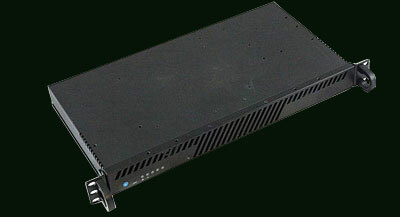 The Econo-Chassis is a 1U rack mountable server chassis used in data centers and offices around the world. The customer requested an alternative to the chassis they were using, but it had to be smaller and cheaper. Shape Point designed, tooled and manufactures this product for half the cost of our customers original chassis. We do everything from cutting the raw sheet metal to stamping, folding, de-flashing, powder coating and final packing in-house. For this improvement on the original Water Alarm the customer required a lower profile and two accessory bays on either side. We were able to accommodate both requests while keeping the basic principle and function of the original alarm intact. The improved water alarm required PCB assembly for the innards, plastic injection molding for the shell and insert molding for the metal conductor feet. Submit Request for Quote (RFQ) for obligation-fee project consultation and estimate. Our expert in-house Design for Manufacturing (DFM) engineers ensure rapid time to market & error-free production. Enjoy a single point of contact and combined shipping for your China sourcing. Enjoy the assurances of dealing with an American company. Communication with Native English speakers and aggregating orders with suppliers allows us to have fast turnaround times. We only partner with fully vetted manufacturers. Our stringent compliance requirements are designed to meet your certification requirements. Please place file(s) for transfer in the same folder and ZIP or RAR before attaching. Larger attachments can take a few minutes to transfer depending on your local internet speed. For attachments over 20MB, click WeTransfer and send to sales@shapepoint.com. Lukas J.Concept to Mass Production in 2 months!